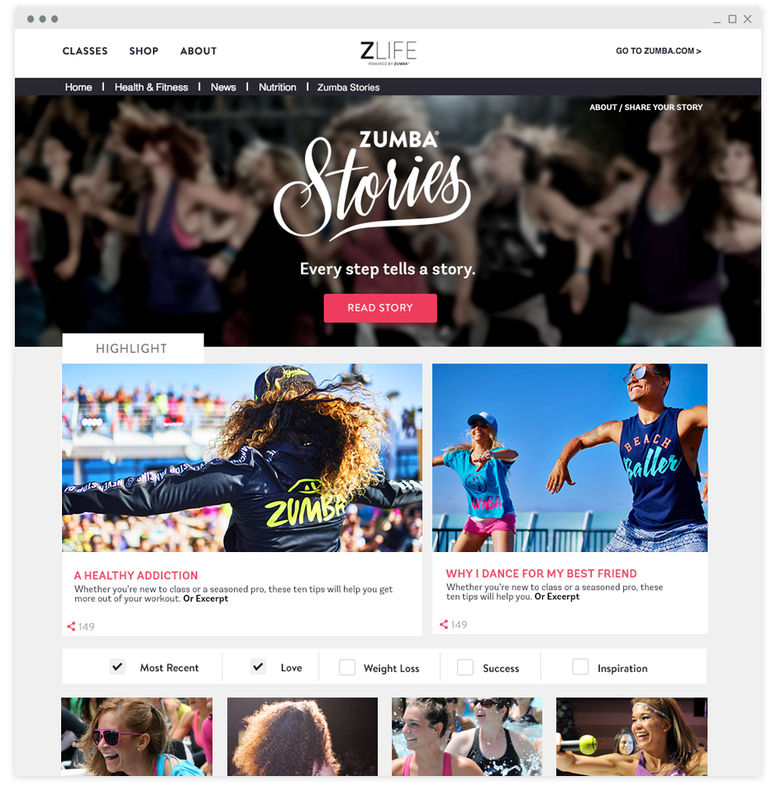 Zumba, the fitness company known for taking the work out of workout, was looking to enhance its existing blog, Zlife, and implement new functionality to support an upcoming promotion. The workout company wanted to update Zlife and give it the flare and features to match its one-of-a-kind motivational movement. The old Zlife design was lacking a look and feel that was consistent with Zumba and its pursuit to be the most awesome workout ever. The internal marketing team wanted a platform that could be easily edited and straightforward to navigate for its wide audience. Westwerk collaborated with Zumba to refine Zumba Stories – an area of its blog dedicated to spotlighting success stories and inspiration from real life Zumba participants. This section now features beautiful testimonials and a filtering tool so users can quickly find the stories that resonate with them the most. Not only was the popular workout company revamping its client testimonials section, but it was also launching a new contest promotion. The contest was featured within the Zlife section and leveraged new custom post and page templates, allowing users to be able to upload video and enter their contest submissions directly on the Zumba website. Westwerk also implemented public voting, where visitors could vote for their favorite submission and help determine the top 10 and final winners. 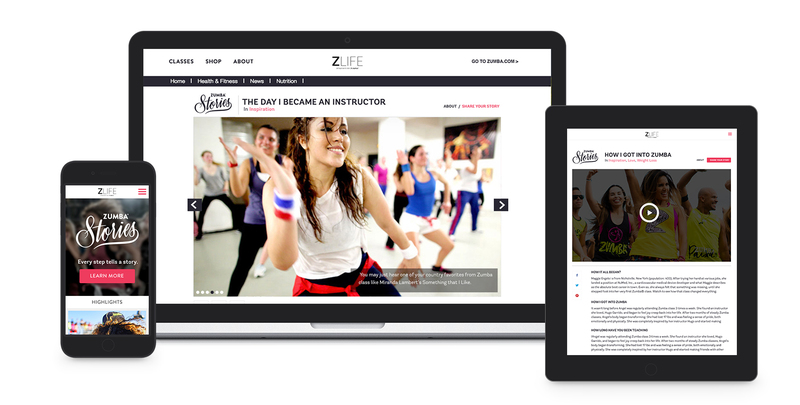 The result is a clean, modern, user-friendly blog where Zumba dancers can connect and share their inspiring fitness success stories.